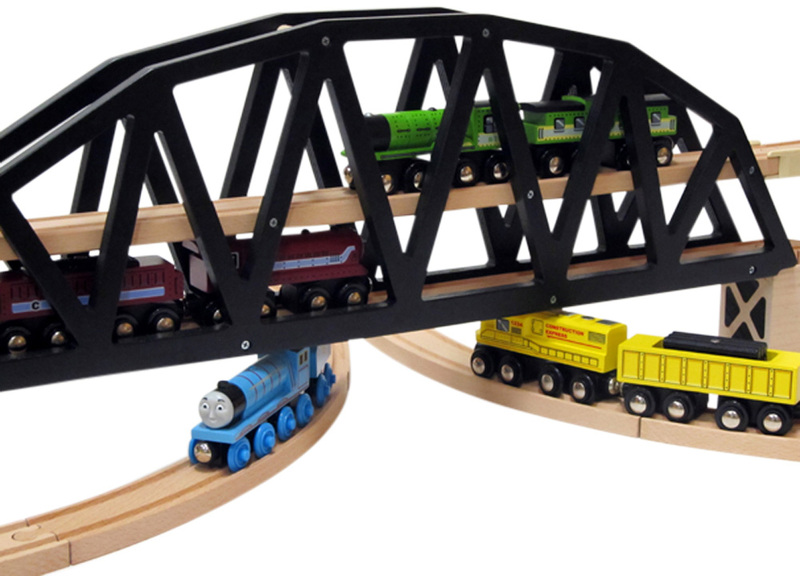 The Wooden Double Decker Bridge set includes 2 ascending wooden track, 6 support blocks, 2 - 6" curves and 2 clips to hold track together on upper deck. 40" long with ascending track. The bridge is all wood, made of baltic birch plywood and virtually unbreakable. It may be used with ascending wooden track and support blocks OR flat on the floor. A sweet addition to your wooden track layout.